DII offers over-sized napkins in countless colors and prints. Assuring you'll find the perfect color for your table. All napkin colors coordinate with the DII ribbed place-mats, fringe place-mats and assorted tablecloths. This makes it simple to create a perfectly coordinated table setting. 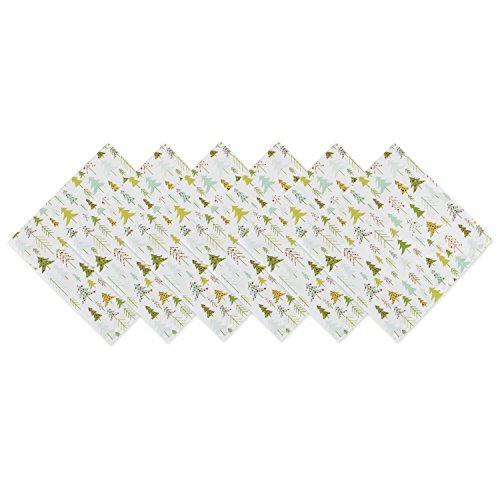 These napkins are 100% cotton and measure 20 x 20 Inch. Machine washable. To minimize shrinkage, please follow care instructions. You will also find the matching tablecloths and table runner to complete your dining set. To view more of our products visit amazon.com/dii. ADDS A FINISHING TOUCH - Small accents like our napkins provide a subtle & sophisticated impact to your dining display.